The concept of a low cost and easily deployed surface mooring for global arrays has moved from a study effort into a development stage at PMEL. 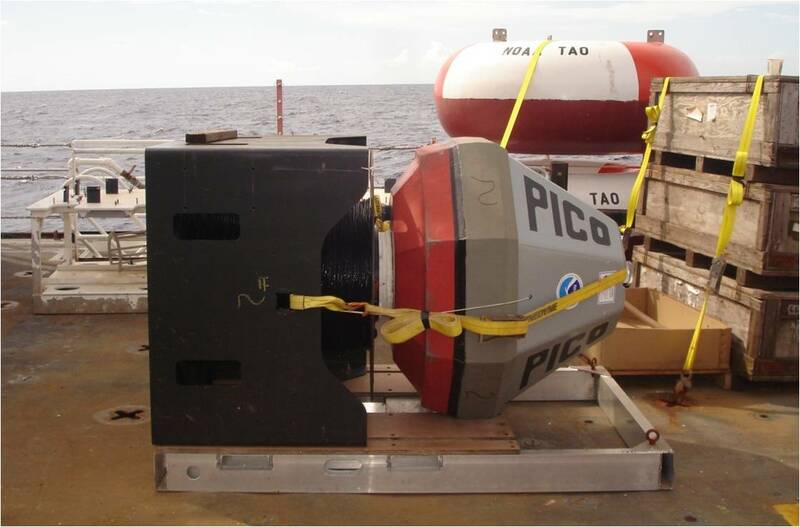 Prototype PICO buoy systems have shown the viability of the concept and some successful deployments have given encouraging results that warrant further design and exploration. A principle element of the system is the mooring line and anchor. The compound synthetic mooring line has several elements and is purchased from the vendor in one continuous piece. It is then spooled onto a steel reel under tension, and the reel is placed in a steel anchor box that serves as a bobbin holder and a pallet for the buoy. The line is drawn off the outside of the reel and through a path of sheaves and out the center of the anchor. As the anchor falls to the bottom the line is spooled out much like an XBT. The octagonal buoy hull is a simple fabrication with a galvanized steel framework, structural foam core, and a polyurea skin. It has good sea keeping characteristics due to a strong righting moment and sharp chines. Electronics are housed in a large central fiberglass well. 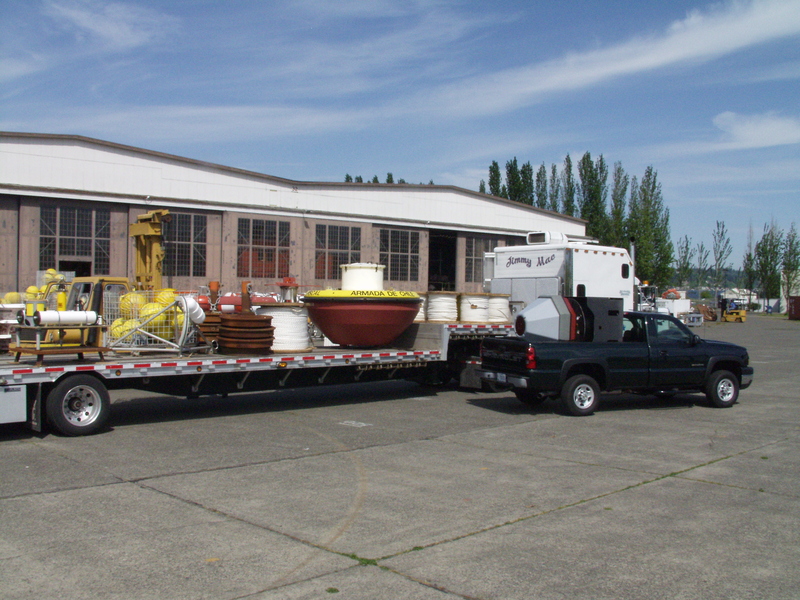 PICO-DART buoy on truck for delivery to the ship for deployment. PICO buoy awaiting deploymnet on the deck of a ship.